ARLINGTON, VA, November 29, 2011 – In a survey of parents of 2- to 10-year-olds, PBS KIDS found that nearly a quarter of parents will find a second life for their personal tech devices this holiday season, passing their used mobile phones and computers to their kids when they get new ones for themselves. Computers (54 percent) and mobile devices (38 percent) will be the most passed down. Sharing technology can provide great learning opportunities for children through mobile apps and online games and there are simple steps parents can take to make their hand-me-down phones and computers kid-ready. According to the survey, when choosing apps for smart phones, parents rank educational value as one of the top reasons for purchase (74 percent). Still, with thousands of apps in the iTunes store for kids, parents often find it difficult to choose apps among the crowd: 49 percent reference what other parents are buying and 45 percent look at parental ratings and review systems. 1.Sweep it: All devices should be cleaned of any content including personal files, credit card information, etc. before handing down to kids. Parents should swipe all their browser “cookies” and perform an application sweep. 2. Secure it: There are parental controls on most tech devices that can turn certain features on and off. Settings on the iPhone, for example, that can be restricted include explicit song titles, Internet browser, YouTube, iTunes and the camera. 3. Set limits: As with any new toy, parents should set expectations and limitations with their kids when the device is handed down, and should encourage other forms of learning and play beyond the screen. 4. Find the right apps for your child: A good app is the perfect combination of education and entertainment, and should be appropriate for your child’s age and stage of development. 5. Avoid apps that try to sell: Apps labeled “lite” or “free” often attempt to make money by trying to sell virtual items while a child is playing a game, or link to another related app that requires payment to download. Select apps from trusted, reliable sources, and make sure that they are not trying to market to your child. More helpful tips are available online at PBSParents.org. PBS continues to provide parents with tools and resources to make smart media choices, and to offer kids media content that will help them learn and grow. 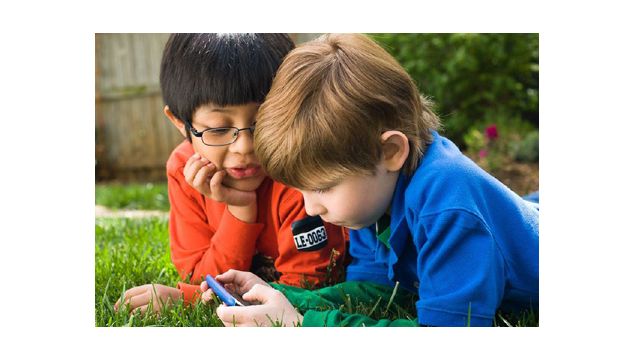 With a cross-platform approach, PBS is increasingly serving children wherever they live, learn, and play – through educational apps, on TV, online, in the classroom, and through a new line of educational toys. PBS KIDS surveyed a sample of 1,000 parents who currently have a child between the ages of 2-10. Respondents were 18 years of age and older. Interviewing for this survey was completed during October 26-31, 2011.